Thanks for you kind comments on my blogs. You're a remarkable person! Well, the movie comes out on Friday. You'll have to let us know what you think! Thank you, Christie and Heidi, for your terrific comments! 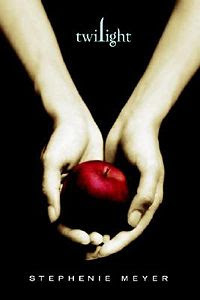 Even though I haven't read The Twilight Saga, I'm very excited about seeing the movie! My 13 year old daughter has completed the second book in the series (borrowed it from classmate), I then bought her the first one which she is now reading. All three of my daughters and their 23 year old cousin watch the movie based on the first book together, at home. When the male lead character came in sight for the first time the all screamed in unison. My wife and I gave each other a look that meant "trouble ahead??"